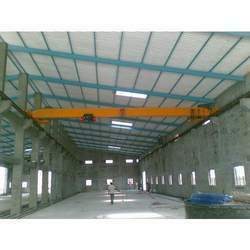 Our company has been renowned as one of the well equipped manufacturers, suppliers and exporters of Single Girder Electric Crane. There are numerous models available in our range of electric cranes with capacities ranging from 1tonne to 10tonne and height up to 20 meters. 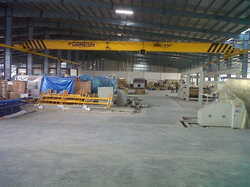 The quality of raw materials used in the manufacturing of this Single Girder Electric Crane is of supreme grade and quality tested. 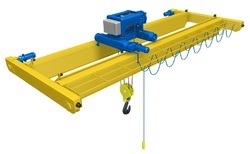 Used in numerous industries like cement and engineering for material handling, our stock of Electric Hoist Single Girder is acclaimed for its compact design, maximum hook height and adjustable speed.